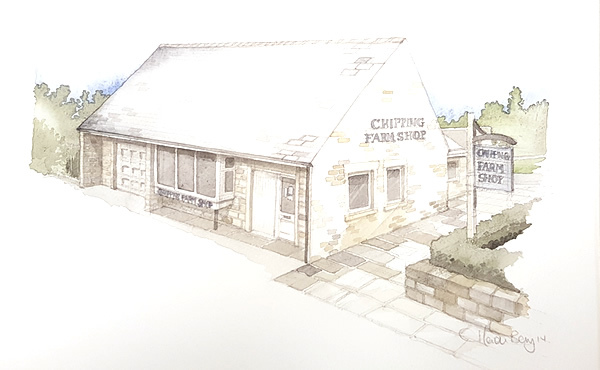 The Chipping Farm Shop was opened in September 2014 in the premises of the former Robinson's Butchers Shop in the picturesque village of Chipping. We are proud to offer for sale a wide range of quality local produce including our very own Aberdeen Angus Beef and Prime Bowland Lamb born right here in Chipping. We always do our best to provide you with a friendly service, we’re very easy to find and have a customer car park right outside the shop. Sue Charnley who has lived in Chipping for several years wanted to give the Chipping residents, and visitors alike, somewhere special to do their shopping. Sue sources the very best local produce as well as some more unusual treats and snacks that you don’t normally find in a village shop. Service with a smile is Sue’s motto and she will always go out of her way to find you just what you’re looking for. Having been brought up on a farm herself, and today farming in partnership with her husband Keith, she is very knowledgeable about all the things she sells.